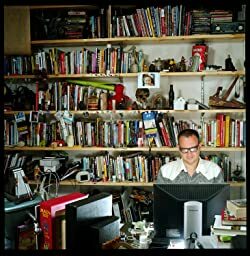 Canadian-born Cory Doctorow has held policy positions with Creative Commons and the Electronic Frontier Foundation and been a Fulbright Fellow at the University of Southern California. He is a co-editor of the popular weblog BoingBoing (boingboing.net), which receives over three million visitors a month. His science fiction has won numerous awards, and his YA novel LITTLE BROTHER spent seven weeks on the New York Times bestseller list. Please enter your email address and click the Follow button to follow Cory Doctorow!